"Mercury Use in Switches and Relays" summarizes the use of mercury in switches and relays sold as individual components and within final products, such as automobiles, space heaters, or pumps. This Fact Sheet covers all of the types of switches and relays that contain mercury in the individual devices; the total amount of mercury in all of the devices that were sold as new in the U.S. in 2001, 2004, and 2007; companies that have phased-out the products' manufacture and sale; and non-mercury alternative devices. The information may not represent the entire universe of mercury-containing switches and relays sold in the U.S. The IMERC-member states continuously receive new information from mercury-added product manufacturers, and the data presented in this Fact Sheet may underestimate the total amount of mercury sold in this product category. The information summarizes mercury use in switches and relays sold nationwide since 2001. It does not include mercury-added switches and relays sold prior to January 1, 2001 or exported outside of the U.S.
Switches are products or devices that open or close an electrical circuit, or a liquid or gas valve. Mercury-added switches include float switches, actuated by a change in liquid levels; tilt switches, actuated by a change in the switch position; pressure switches, actuated by a change in pressure; and temperature switches and flame sensors, actuated by a change in temperature. Mercury switches are used in a variety of consumer, commercial, and industrial products, including appliances, space heaters, ovens, air handling units, security systems, leveling devices, and pumps. Relays are products or devices that open or close electrical contacts to control the operation of other devices in the same or another electrical circuit. Relays are often used to turn on and off large current loads by supplying relatively small currents to a control circuit. 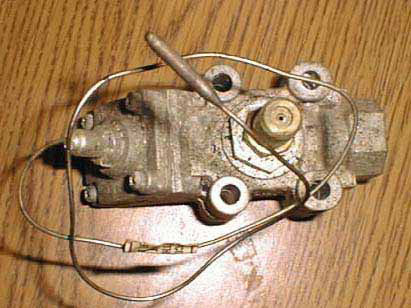 Mercury-added relays include mercury displacement relays, mercury wetted reed relays, and mercury contact relays. Relays are used in telecommunication circuit boards, commercial/industrial electric ranges, and other cooking equipment. Table 1 illustrates that the amount of mercury used in individual switches and relays varies widely. 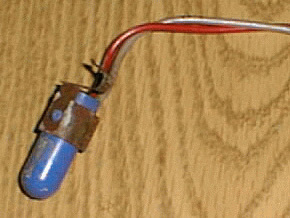 A mercury tilt switch, for example, can have anywhere from 50 milligrams to nearly 5 grams (5,000 milligrams) of mercury, while an individual float switch may contain anywhere from 100 milligrams to 67 grams (67,000 milligrams) of mercury. The amount of mercury used in individual relays varies even more, from more than 10 milligrams to up to 153 grams (153,000 milligrams). Mercury relays and relay controls are often sold as "units" containing anywhere from several to up to 32 relays per unit. The total amounts of mercury in relay units can range from less than 100 milligrams to over 400 grams (400,000 milligrams). The total amounts of mercury in relay control units can range from 2 to 10 grams. Table 1 presents the average amount of mercury in switches and relays that are still manufactured and sold as new in the United States. Manufacturers, importers, and distributors of mercury-added products report to the IMERC-member states the amount of mercury used as an exact number or as a range. Note: 1 gram of mercury = 0.035 ounces. Approximately 60 tons of mercury was used in switches and relays sold in the U.S. during 2001, which decreased to slightly more than 51 tons in 2004 and to less than 31 tons in 2007. This represents a decline in mercury use in switches and relays of approximately 14 percent between 2001 and 2004 and approximately 40 percent between 2004 and 2007. The overall mercury use in this category has decreased by 29.2 tons (58,481 pounds) - a decline of approximately 48 percent since 2001. Slightly more mercury was used in switches than in relays during all three reporting years. It is important to note that manufacturers sometimes group together different types of switches when reporting total mercury use (i.e., the category for "Other Switches"). Therefore, truly ranking mercury use by type of switch is difficult. Nevertheless, the data presented in Table 2 indicates that the largest amount of mercury was used in tilt switches in 2001 and that mercury-added float switches (used in pumps and pump systems) constituted the largest use of mercury in switches in 2004 and 2007. Over time, the reported mercury use in tilt switches and flame sensors has shown the most significant decline. For example, mercury use in flame sensors decreased approximately 60 percent from 2001 to 2007. Mercury use in tilt switches declined even more - approximately 87 percent from 2001 to 2007. This can be attributed to the availability of new non-mercury technologies and to the various state laws restricting the sale of certain mercury-added products sold in the U.S., including switches and relays. Since 2001, many states have passed legislation restricting the sale of mercury-added switches and relays. As more state requirements go into effect, mercury use in this product category will likely continue to decline. The following IMERC-member states currently have restrictions on the sale and/or distribution of mercury-added switches/relays, individually or as a component in another product: California, Connecticut, Illinois, Louisiana, Maine, Massachusetts (phase-out effective May 1, 2009), Minnesota, New Hampshire, New York, Rhode Island, and Vermont. Additional states, including Oregon and Washington, specifically ban the sale of new automobiles that contain mercury-added switches (e.g., convenience light switches, anti-lock brake system switches) 4. In response to these mercury product bans and phase-outs, many companies have ceased manufacturing mercury switches and relays and/or stopped selling products that contain these devices in these states or nationwide. Watlow Winona Inc. reported to the IMERC-member states that they phased-out the manufacture, sale, and distribution of their mercury displacement relays in May 2003. Sullair Corporation reported to the IMERC-member states that they phased-out the manufacture and sale of their mercury-added switches in October/November 2003. Joslyn Clark Controls, LLC reported to the IMERC-member states that they phased-out the manufacture and sale of their mercury-added switch that is used in fire pump controls in 2003. Gorman-Rupp reported to the IMERC-member states that they ceased the manufacture of mercury float switches for use in their sewage lift systems beginning in 2003. Mercury-free float switches are now available through the company as of 2005. Biotrack Ltd. reported to the IMERC-member states that they phased-out the manufacture and sale of their mercury-added oscillator tilt switch in 2004. Signal Systems International reported to the IMERC-member states in 2005 that they stopped the sale and distribution of their mercury-added switches to Connecticut, in conjunction with Connecticut's mercury product ban, which was effective on July 1, 2004. Since the original correspondence, however, many of the other IMERC-member state's mercury product phase-out laws and sales bans have gone into effect, including, California, Maine, Vermont, Illinois, and New York. Massachusetts' law becomes effective May 1, 2009. Signal Systems International has yet to confirm that they have stopped sales of their mercury-added switches to these states. Lennox International Inc. reported to the IMERC-member states that they phased-out the sale and distribution of their mercury-added commercial control switch used in a power exhaust option. The company replaced this switch with a non-mercury alternative in November 2005. ASCO Power Technologies, LP (Firetrol-brand) reported to the IMERC-member states that they phased-out the use of all mercury-added components, including their mercury-added pressure switches, in August 2006. BJM Pumps reported to the IMERC-member states that they phased-out the manufacture and sale of their mercury-added float switch in 2006. The company now offers a non-mercury mechanical ball float. 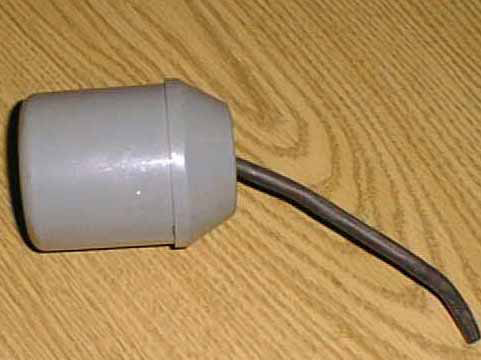 Maxon Corp. reported to the IMERC-member states that they phased-out their mercury-added pressure switches in 2006. Rule Industries (also known as ITT Industries) reported to the IMERC-member states that they phased-out the manufacture and sale of their marine pump float switches in 2006. Magnetrol International, Inc. reported to the IMERC-member states that they phased-out the manufacture and sale/distribution of their mercury-added switches, including replacement parts, as of June 2007. See Appendix A for information about all of the manufacturers, distributors, and importers that have reportedly phased-out the use of mercury switches or relays in their products since 2001. These products, including recreational vehicles, ovens, and pumps, previously contained a mercury-added switch or relay as a component. There are numerous non-mercury alternatives to switches and relays suitable for use in various products and applications. Many factors should be considered when switching to a non-mercury component, including the relative costs, availability, and product effectiveness. Table 3 lists the non-mercury alternatives to mercury-added switches and relays.